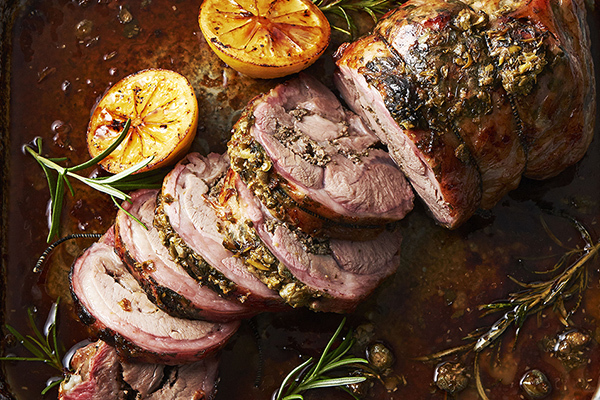 This Easter, we have done an interesting twist on the traditional roast lamb. Not only are we using shoulder instead of leg, but we have rolled it and stuffed it with lemon, rosemary and anchovies. After roasting, it can be garnished with a fantastic, umami-rich kombu and caper jus that is finished with parsley. Lambtastic!